On 29 November to 1 December, Zynstra will be in full force at HPEs largest event of the year - Discover 2016. Over three days, we'll be showcasing our global partnership with HPE on the ProLiant Easy Connect range of managed hybrid servers. If you're at the event, stop by stand 125, opposite Innovation Theatre 9. Get answers to your biggest IT challenges. Which Hybrid cloud is right for you? Selecting the right hybrid cloud solution is critically important for companies operating in the small and midsize business, enterprise and high-performance market segments. Join the session to see which IT solutions are best suited for your company's workloads and business needs. Join Zynstra's CEO, Nick East and other panel members to learn about HPE ProLiant Easy Connect and how managed hybrid servers provide best-of-breed components, delivered as integrated solutions wrapped in technology services. 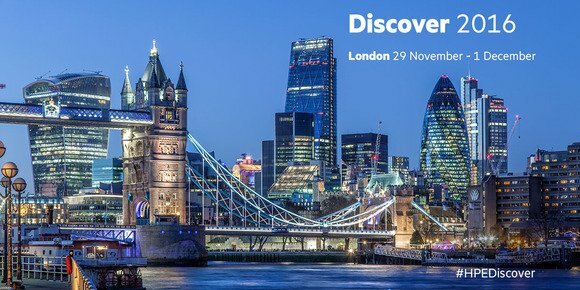 We're looking forward to seeing you at Discover 2016.